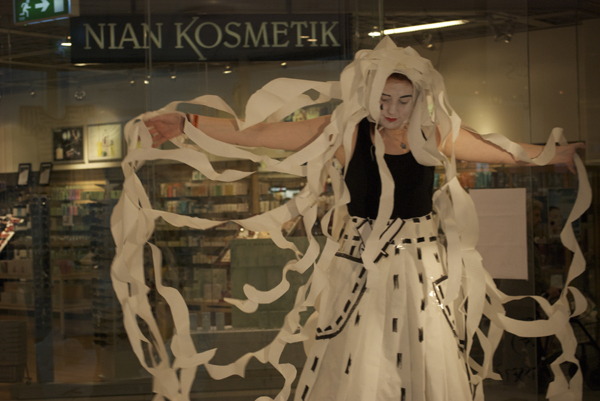 A live event with paper and ink and in collaboration with circus students. 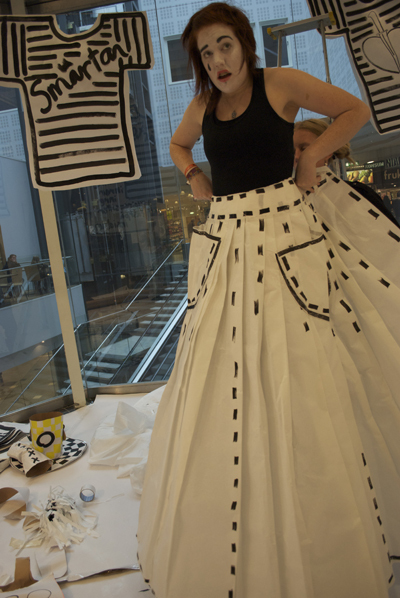 Out of a poem of mine, a setdesign, costumes, props and a circusperformance was being made. black dancing suits. On the wall a giant handwritten ”to do list” was´ hanging as well as the poem. The set and props and costumes was made out of paper and ink. 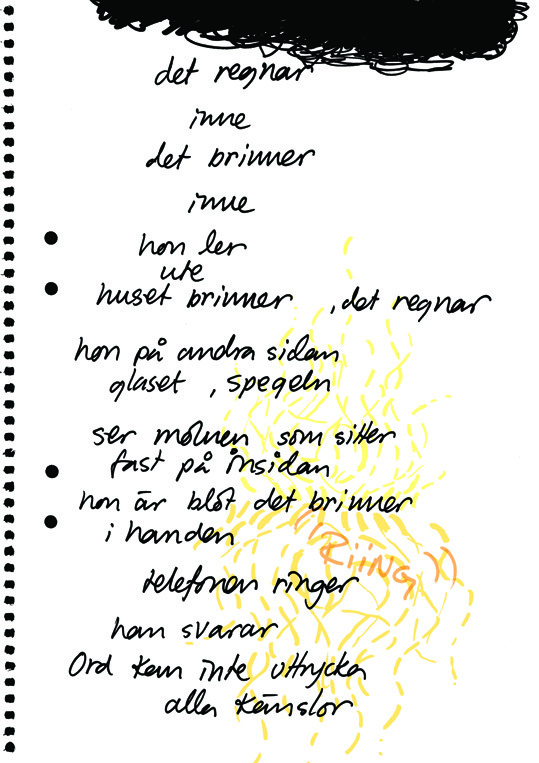 The poem is a part of The part of the reality I need (2009) a work made as a public comission for Stora Sätra school in Gävle. Is it possible to jump through a paper?